Gillian worked for over 20 years in senior management roles in marketing, public relations and communications. She has worked both in an agency environment (including leading agency Weber Shandwick) and ‘in house’, specialising in travel & tourism, architecture and broadcasting (including working for several years for Channel 4 TV). However, she has also endured several years in finance, banking and government! Gillian has led international teams, recruiting and managing staff in Asia, Middle East, Europe and the USA. Her efforts have been recognised as she has won many communications awards and has appeared frequently in ‘top ten’ lists including ‘Media and Marketing Power 100 Listing’. She’s got a fair few qualifications to show she knows a bit about Marketing and Media including a first class joint honours degree in the subjects. 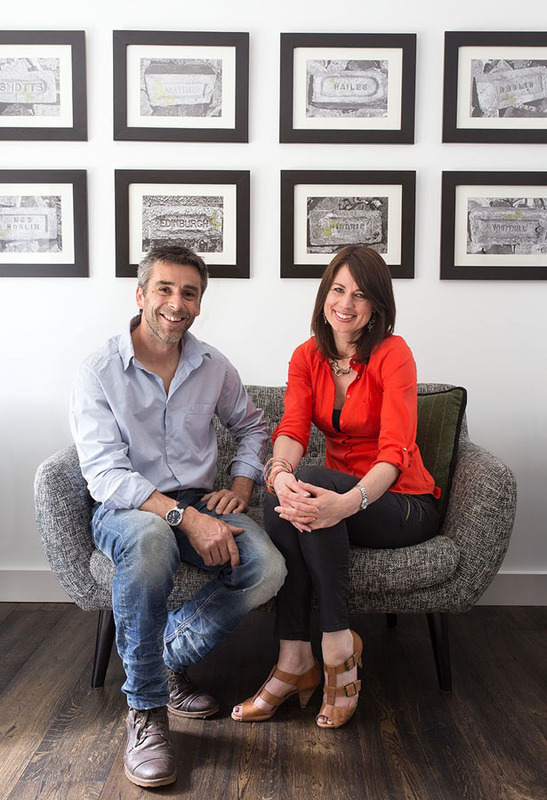 But the lure of property was too great so Gillian joined Ewen to become self-employed in 2013 to instead focus on the couple’s property enterprises. After she and Ewen bought and completely renovated eight holiday rental properties (which Gillian designed and then managed), she quickly became a recipient of Trip Advisor’s Certificate of Excellence award and also got the stamp of approval from Airbnb by consistently achieving ‘Superhost’ status. The properties also attracted the title of Best Luxury Self-Catering apartments 2016 – Edinburgh in the Lux 2016 Hotel & Spa Awards. These holiday rental properties regularly featured in leading interior magazines and national travel supplements, including being featured in the Guardian Travel Supplement’s ‘Top Places to Stay in Edinburgh’. She marketed her properties to attract year round, and repeat, custom – without ever spending a penny on advertising. The couple’s transformative work on their own homes through the years have also adorned the front covers and pages of several glossy interior magazines and home supplements. While Gillian no longer runs holiday rental properties, she now focuses on sharing her expertise with others through her Taylor Made Solutions interiors business. She also supports the couple’s growing portfolio of properties and development projects in Edinburgh, Glasgow and Perthshire. Ewen has had a very successful building renovation and maintenance company in Edinburgh – MacAskill Maintenance – for over 25 years. It is testimony to his excellent service that he still has many of the same clients from when he first set up his business in the city all those years ago and has never spent a penny on advertising. Ewen offers a one-stop shop service to his clients, including joinery, tiling, bathroom and kitchen installation, decoration, plumbing and electrics. His services include everything from nipping round with his toolbox to attend to a small maintenance issue to deploying large teams to decorate residential high rise building complexes. His client list includes some of Edinburgh’s most popular bars and restaurants as well as home owners and property investors in all parts of the city. As such, his knowledge of the Edinburgh property market is second to none. By seemingly never taking a day off, Ewen has also managed to find time to do the physical building work on the couple’s portfolio of properties, which ranges from studio apartments to apartment blocks and, currently underway, the conversion of a former care home. While Ewen is now taking a step back from working on larger scale building projects for clients to concentrate more on Manorstone’s own projects, he and Gillian do join forces on interiors projects and by assessing properties in advance of sale to give his view on required renovations to help potential buyers.